Whenever you search in the search of taskbar in windows 10, it search combinedly from your local computer and web. The search results are powered by bing by default. You can also change taskbar search to google through mozilla, but what if you do not want web results on your windows PC. what if you only want it to search through local files only. This is important for most of the users as they are clear in their mind that if they are searching in their taskbar, they are searching for stuff inside their pc only. Please follow steps below to remove web search results from windows 10 taskbar. Just click on the search box. Then click on the round shaped setting icon just third from the top. 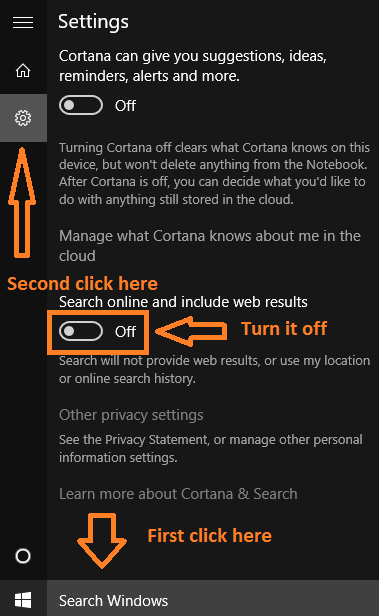 Now, make sure cortana is turned off and turn off the settings which says search online and include web results. 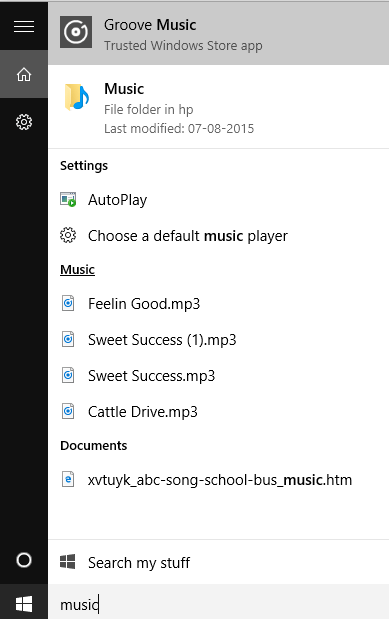 Now , whenever you will try to search an item through taskbar of windows 10, it will include search results from your local computer only. It will not forcefully stick search results from around the web which you do not want at all. Note: – To enable web search again, just follow the same path described above and turn it on.